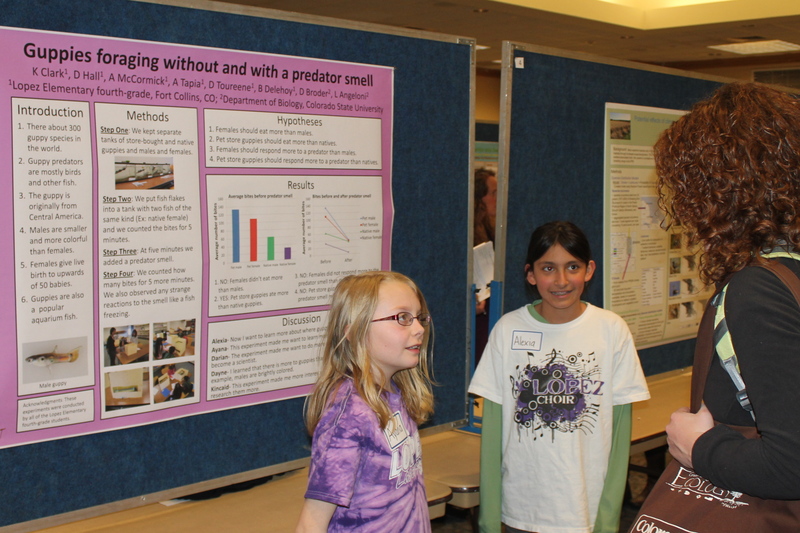 I adapted foraging experiments from my dissertation for 4th-grade students and implemented them at Lopez Elementary (Fort Collins, CO) in 2010, 2011, and 2012. I introduced the scientific process, guppy biology, and then helped the students design hypotheses and develop experiments. 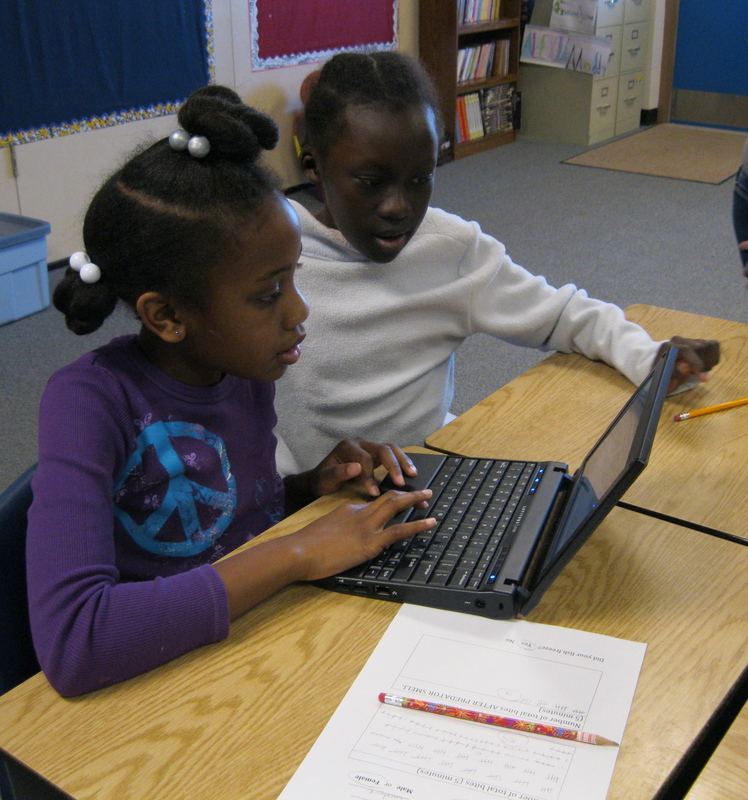 Each student independently conducted a behavioral experiment with guppies and used Excel to enter and analyze data. PRESS: Kyle, Sarah Jane. 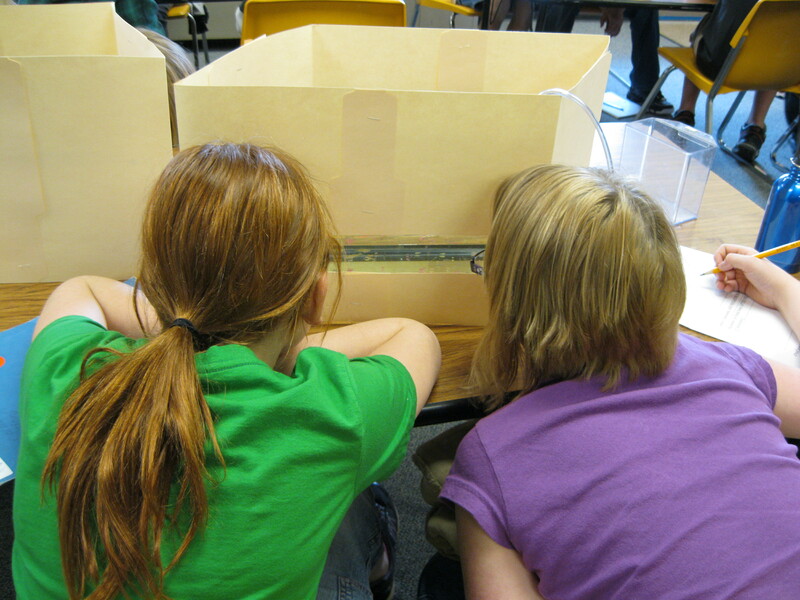 “Lopez fourth-graders test science smarts: Ecology Symposium at CSU gets students thinking.” The Coloradoan [Fort Collins, CO] 22 February 2012.